Search "Leather" 240 results have been found. Here is a very elegant sandal, chic timeless style. Completely handmade in our workshop, you will appreciate its comfort and fine finishes. Leather straps are customizable. Options: beige slip pads (heel and sole of leather). Other colors on request. Shipping included to mainland France. This is our favorite sandal, we love it! Very elegant and comfortable with wide flanges, it hides the foot without much cover it. The ankle strap is interchangeable and customizable to envy! Enjoy yourself. Options : beige slip pads (heel and sole of leather). Other colors on request. Shipping included to mainland France. This leather sandal offers a very good fit, its adjustable strap allows a perfect fit of the instep (whether fine or strong). For optimum comfort, select the Airlite rubber outsole. Options : beige slip pads (heel and sole of leather). Other colors on request. Shipping included to mainland France. Dinah, leather sandal without ankle strap or finger strapAvailable options : beige non-slip skates (on heel and leather sole). Other colors on request.Shipping costs included to metropolitan France. This sandal protects the foot. It is ideal for walking especially with his rubber sole Airlite. Important : for this model order one size above your normal shoe size Options: beige slip pads (heel and sole of leather). Other colors, click HERE. Shipping included to mainland France. Customized model +30€ included Customized models can not be returned nor exchanges except in case of shoe size error. Chic and refined this sandal dress your beachwear, walks as well as those of your evenings. Options: beige slip pads (heel and sole of leather). Customized model +€30 includedCustomized models can not be returned nor exchanges except in case of shoe size error.Other custom model : select standard model + customization optionLouise, leather sandal with ankle and finger toes strapAvailable options: beige non-slip skates (on heel and leather sole). Other colors on request. Here is our Madonna model with soft and timeless lines. You will be seduced by its maintenance, the comfort it provides and the quality of its manufacture.Available options: beige non-slip skates (on heel and leather sole). Other colors on request.Shipping costs included to metropolitan France. By Toutatis, here is a pretty sandal. No Roman legions in sight, but a unique know-how and exceptional leathers. Handcrafted by true Gaulish Camargue, you will appreciate its look and comfort. Options : beige slip pads (heel and sole of leather). Customizable - Other colors on request. Shipping included to mainland France. This is a quality sandal! Exceptional leathers, unique French savoir-faire, style and comfort. Treat yourself to the complete pack (Pac). You can customize the straps according to your wishes: more than 60 colors available. Options : beige slip pads (heel and sole of leather). Other colors on request. Shipping included to mainland France. Sanary, leather sandals with ankle strap and finger-lessAvailable options: beige non-slip skates (on heel and leather sole). Other colours on request.Shipping costs included to metropolitan France. Sandal entirely handmade in our workshop. Very comfortable and offering a very good footwear, you will be seduced by our know-how and the quality of the selected leathers.Available options: beige non-slip skates (on heel and leather sole). Other colours on request.Shipping costs included to metropolitan France. Vierzon, leather sandal with ankle strap and finger strap.Available options: beige non-slip skates (on heel and leather sole). Other colours on request.Shipping costs included to metropolitan France. Urban, simple and elegant sandal. Comfortable with ankle strap. Supreme luxury, you can customize the colors of the straps! Contact us. Options : beige slip pads (heel and sole of leather). Other colors on request. Shipping included to mainland France. Here is our Madonna model with soft and timeless lines. You will be seduced by its maintenance, the comfort it provides and the quality of its manufacture. Available options: beige non-slip skates (on heel and leather sole). Other colors on request.Shipping costs included to metropolitan France. Here is a very simple and chic sandal, timeless style. To wear both at the beach, for a walk, or in the evening. First (where the foot rests) 100% vegetable tanned leather. Options: beige slip pads (heel and sole of leather). Other colors on request. Shipping included to mainland France. Discover our "Gardiane" boot in fat calf full-grain leather of exceptional quality. Proposed here in a natural color. Non-slip pads included Other colors available, just click here and contact us. 30% of increase beyond size 46 Shipping included to mainland France. The look is unmistakable. Discover our "Gardiane" boot in this waxed leather. It is resistant to rain and the color goes perfectly with a pair of jeans. Non-slip pads included. Other colors available here, please contact us. 30% of increase beyond size 46 Shipping included to mainland France. Customized leather +30€ Customized models can not be returned nor exchanges except in case of shoe size error. Gardiane leather boot with brown hairy leather of cow. Options : non-slip pads. Other colors available, please click here and contact us. 30% of increase beyond size 46 Shipping included to mainland France. Gardian boots with a slightly refined tip in reverse full-grain leather. Options : non-slip pads ; other colors available just click here and contact us. Shipping included to mainland France. Gardian boots, with a slightly refined tip, made with waxed split leather. Options : non-slip pads ; other colors available here, please contact us. Shipping included to mainland France. Boots of brown fat leather, which offer good rigidity, leather does not fall. It has the further advantage to resist rain and patina over time. Non-slip pads included. Other colors, click HERE. Shipping included to mainland France. Customized model +30€ included Customized models can not be returned nor exchanges except in case of shoe size error. Looking for a lightweight leather boot and comfortable ? This calf suede beige model is for you. Other colors available, please click HERE and contact us. non-slip pads included Shipping included to mainland France. Customized model +30€ included. Customized models can not be returned nor exchanges except in case of shoe size error. This leather boot will dazzle you ! With this suede glittery gold, its lightness and its immediate comfort, it has everything to seduce you. Options : non-slip pads. Shipping included to mainland France. Customized model +30€ included Customized models can not be returned nor exchanges except in case of shoe size error. Soft leather boots, light, always comfortable, warmth and more, with true sheep dark blue! Non-slip pads included full sheepskin lining: your foot is surrounded by fur. Other colors, please click HERE. Shipping included to mainland France. Comfort and warmth for your feet with this boot and real sheep fur. Optionally, you have the opportunity to ask all the fur on the inside of the boot. Non-slip pads included Other colors, please click HERE and contact us. Options: Fully lined in sheepskin. Shipping included to mainland France. Customized model +30€ included A little fancy with this leather boots with low heels, a classic of our collection with real black hair. Non-slip pads included Other colors, click HERE. Shipping included to mainland France. Customized model +30€ included Customized models can not be returned nor exchanges except in case of shoe size error. To custom your shoes with another color choose a standard model and customization option. La Botte Gardiane offers this boot in black calf leather, flat heel. Enjoy the comfort and quality leathers that are from the best French tanneries. Leather boots with low heels, squirrel suede. Lightweight and extremely comfortable, you will appreciate its suppleness and timeless style. Non-slip pads included. Shipping included to mainland France. Leather boots flat heel, a classic in our collection made in black calf supple. This full-grain leather, high quality from the best French tanneries. Options: non-slip pads. Other colors, click HERE. Shipping included to mainland France. Customized model +30€ included Customized models can not be returned nor exchanges except in case of shoe size error. A little fancy with this leather boots with low heels, a classic of our collection with a lifelike imitation leather brown python. Non-slip pads included Other colors, click HERE. Shipping included to mainland France. High quality low boot, full grain leather. Mounting identical to our "Camarguaises". Height of upper = 15cm, 19cm height of the boot (size 38). Non-slip pads included. 30% of increase beyond size 46 Including shipping to metropolitan France. Customized model +30€ included. Customized models can not be returned nor exchanges except in case of shoe size error. High quality low boot, supple in suede leather. Mounting identical to our "Camarguaises". Height of upper = 15cm, 19cm height of the boot (size 38). Non-slip pads included. Including shipping to metropolitan France. High quality low boot, full grain leather. Mounting identical to our "Camarguaises". Height of upper = 15cm, 19cm height of the boot (size 38). Non-slip pads included. Including shipping to metropolitan France. High quality low boot, supple in suede leather. Mounting identical to our "Camarguaises". Rider boots or urban boots easy to fit with his gusset. Tailor-made recommended. Standard measures on this link Non-slip pads included. Shipping included to mainland France. Calf black leather boots, which offers good rigidity, leather does not fall. It has the further advantage to resist rain and patina over time. Non-slip pads included Other colors, click HERE. Shipping included to mainland France. Cavalière very chic with his zip. You can choose it with tailor-made. Measures standards on this link. Non-slip pads included. Frais de port inclus vers la France métropolitaine. Perfect for riding ! Comfortable & very resistant. 30% of increase beyond size 46 Shipping included to mainland France. 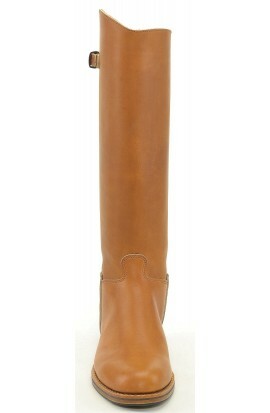 Here's a boot of rare elegance, soft leather with a "high" heels 5cm allows long hours of shopping (or ride). Combination of the excellence of our know how and finest French leather, you will also be seduced by its comfort. Non-slip pads included. Shipping included to mainland France. Boots woman, sewn mount Sandalette (very resistant).Pancake sole (natural rubber) great flexibility and good grip, or brown rubber or leather sole with non-slip patina included.Sizes from 35 to 42 included, other colors on request.Shipping costs included to metropolitan France. In the same type of our Boots model but with a sewn sandalette mounting : very resistant mounting. Shipping included to mainland France. Discover our "gardiane" boot in fat calf suede leather of exceptional quality. Non-slip pads included Option : lining boots Other colors available, just click here and contact us. 30% of increase beyond size 46 Shipping included to mainland France. Affordable prices High quality low boot, full grain leather. Mounting identical to our "Camarguaises". Height of upper = 15cm, 19cm height of the boot (size 38). Non-slip pads included. Including shipping to metropolitan France. Discover our "gardiane" boot in black fat calf, full grain leather of exceptional quality. non-slip pads included. Other colors, click HERE Shipping included to mainland France. Affordable prices Discover our "gardiane" boot in fat calf full-grain leather of exceptional quality. Proposed here in a natural color. Non-slip pads included Shipping included to mainland France. Affordable prices High quality low boot, full grain leather. Mounting identical to our "Camarguaises". Height of upper = 15cm, 19cm height of the boot Non-slip pads included. Including shipping to metropolitan France.